I'm ahead of schedule for once, and have the long awaited Sony, Nikon and Canon kit lens shootout ready. 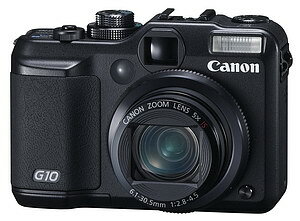 I used 6mp cameras for the review, such as the Konica Minolta Maxxum 5D for Sony, D40 for Nikon and the Digital Rebel for Canon. It's more fun to review lenses with these lower resolution cameras as they don't magnify every flaw in a lens. I also have complete and seperate reviews for the Canon 18-55mm F/3.5-5.6 IS, and the Nikon 18-55mm F/3.5-5.6G VR, I took down the older "II" version of this lens. For all you Sony servile flatterers out there; you may not want to read this review, and should probably stay in Sony chatrooms or forums. I receive no money or loaners from Sony, and have nothing to do with Sony, so I'm free to say what I think about their products, and don't have to worry about retribution. 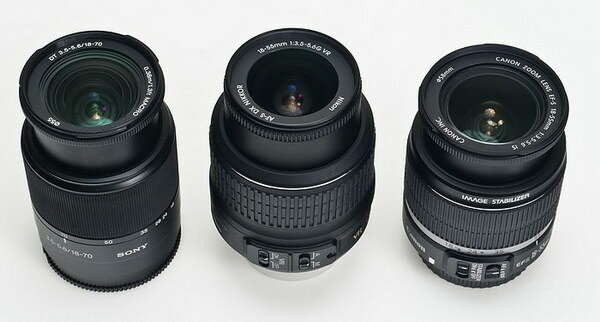 I plan on doing a series of reviews, comparing Sony, Nikon and Canon lenses. Why? Because I'm interested in seeing how they perform against each other, and hopefully it'll dispel some senseless gossip in the process. I'll start with the APS-C only lenses first, then move on to the full frame designed lenses, though still using the cameras listed above, I'm not buying full frame bodies from Nikon and Canon. I have no vested interest in the outcome of the reviews, I'm simply going to state what I think, which undoubtedly will cause some people to get mad. If Sony has a good product, I'll say so, if they have a bad product, I'll say so, that's just the way it is folks! Coming later this week, a review of the Minolta AF 24-50mm F/4, quite popular on eBay for around $150. Finally, a new review for a change. Ready for your consumption is the Minolta AF 50mm F/1.7 review. This little lens is found on eBay in the $150 range, though sometimes off-hour auctions end with bids for less than $100. The reviewed lens is a restyled version from the 1990s, but original versions are basically the same. If you're thinking you might like a fast, low-light lens without spending much money, this would be a great choice. I had the Sony 50mm F/1.4 on hand, so I made a few comparisons, it's 2/3 of a stop faster, and about twice the price. Up next will be the Minolta AF 24-50mm F/4, and the comparison kit lens review, all final (hopefully) by the first week of next month, keep your fingers crossed! Sorry to all you people using IE, my columns were all messed up. I edit the site using Firefox VR 2.0.0.16, and everything looks good there, but I didn't check compatibility with Internet explorer 7. I made some adjustments, and things should be ok now. Also, be advised, Sony quietly lowered the price of the 35mm F/1.4 by $100, now it's a cheap $1299. When you lower the price, it means they weren't selling many, and had them over-priced in the first place. Canon announces three new cameras that interest me. 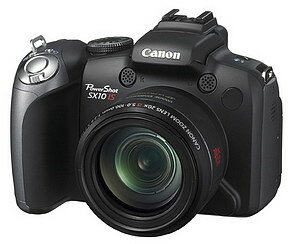 The EOS-5D mark II, Powershot G10, and the Powershot SX10IS, in that very order! Canon also has a new 24mm F/1.4 L USM lens coming out in December for a cool $1699. Are you paying attention Sony? I've completed the updates on all the lens reviews, except the Nikon kit lens, and I'll hold off on that one until I'm done with the comparison review of the Sony, Nikon and Canon kit lenses, look for it late next week or so. Up next is a review of the Minolta AF 50mm F/1.7 restyled version, you see these all over eBay, usually selling around $130. Look for it Sunday or Monday. Sensor size, 36mm x 24mm. 3.0" LCD with 920,000 pixels. 3.9fps shooting at full resolution. ISO 100-6400, expanded; 50, 12,800, 25,600 available. Body 6.0" X 4.5 X 2.9 or 152mm X 114mm X 74mm. Priced at $2699 body only. Ships in Oct. for $499. Ships in Oct. for $399. 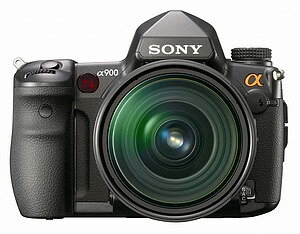 Sony announces the A900 finally. Seems like the leaked info was mostly correct. There still isn't a very good selection of images available, when Sony produces some, I may put a few on a separate page. Check out the specs below. It looks like it's an A700 with a full frame sensor, this is good as I really like the A700. All your "DT" lenses willl work fine. The price seems reasonable also, at $2999. Obviously this is meant to keep people from potentially buying the Canon 5D or 7D, or maybe the Nikon D700. 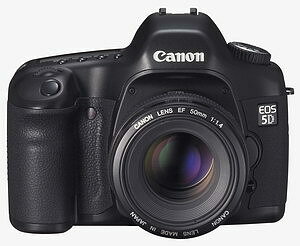 The A900 is slightly larger than the Canon 5D, but weights the same. Also, no more "Super" SteadyShot, now it's just plain old "SteadyShot." On sale in November. Check out the two new lenses, (what happened to the other four?) the $1800 CZ vario-sonnar T* 16-35mm F/2.8 ZA SSM, and the $1500 Sony 70-400mm F/4-5.6 G SSM. I hope they come out with a different color than the aluminum look, this is the same as the really cheap lenses from Minolta earlier in this decade, like the 28-100mm F/3.5-5.6 etc. Both will be available in January. I guess we're going to be SOL until January for Sony branded super wide angle options with the new A900. You can use the new 24-70mm, 24-105mm, 20mm (which aren't super wide) or the 16mm fisheye lens. Get the inexpensive KM 17-35mm F/2.8-4 reviewed here which should work well, we'll see in November. Sensor size, 35.9mm x 24mm. AF micro adjustments, with 30 lens inventory. 3.0" LCD with 921,000 pixels. 5fps shooting at full resolution. ISO 200-3200, 100, 6400 available. New mirror box, hopefully quieter, rated over 100,000 cycles. Intelligent preview mode lets you adjust picture on screen. Flash sync 1/250s. with SteadyShot off. Dual card slots, but no simultaneous writing. Battery, same as A700 thankfully, 880 shots per charge (CIPA). No eye start auto-focus, I never use it anyways. Small, top LCD, looks like the same one from 1985. 850g or 30oz without lens or battery. New grip, VGC90AM for $379. Body 6.1" X 4.6 X 3.25 or 156mm X 117mm X 82mm. Priced at $2999 body only. Available (US) Oct or Nov '08. 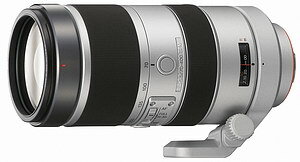 Sony 70-400mm F/4-5.6 G SSM, 0.27x mag. $1500 (middle pic). 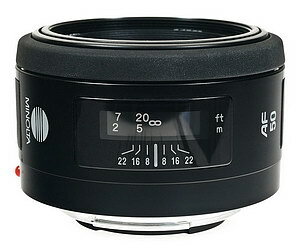 CZ vario-sonnar T* 16-35mm F/2.8 ZA SSM $1800. 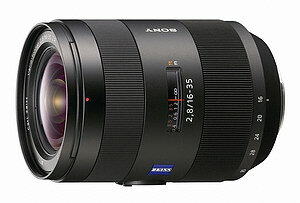 All Sony lenses on the review page have been revised and updated with new information and images. I have a couple of Minolta and Sigma lenses yet to go. I have "Temp. down" tags next to unlinked lenses, so check back to see if they come up, I don't always update the home page on a regular bases, obviously! That's about to change though, with frequent updates and reviews coming later this month, and in October. If you haven't been to the Coming soon page recently, I'll save you the trip. During this month, I hope to review at least a couple of the following lenses, but not necessarily in the order below.